There is nothing more addictive than car crash reading, well for me anyway. 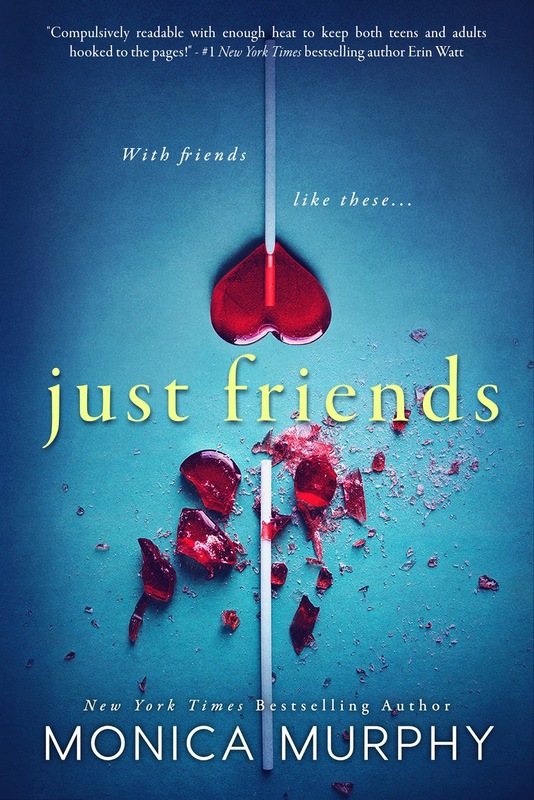 You know it’s a train wreck, you know it’s all going to end badly, yet you just cannot look away, you just cannot stop reading…well that is what Just Friends was like for me. I’m in my forties, yet I love reading about teenagers, their experiences in college and the mistakes they make but most of all the fun they have and their relationship disasters…I live vicariously through these stories and live a school life I never had and I love it. This was that 90’s drama Beverly Hills 90210 on speed. I should have hated this book, the characters are naïve, selfish, self-absorbed, irritating, immature and extremely indecisive. The flick flack of emotions as all those hormones go spiralling out of control was exhausting, yet, and this is a huge yet, I couldn’t put it down. I’m a glutton for punishment, but I am also a glutton for angst and this was one huge angst fest and once again, I loved it. 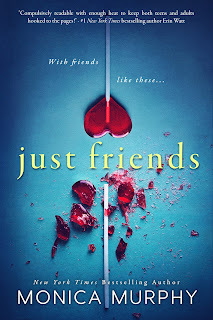 This book is one hot mess of emotions and hormones, three best friends, two girls and one boy, Olivia, Dustin and Emily, just how much trouble could these characters wreak? As secrets are revealed and this trios bond is blown to smithereens all hell breaks loose and some of the characters just morph from dislikeable to downright hateable. But, it is like crack, the more they disintegrate, the more mistakes they make, the more mistakes they make the juicier the storyline. It was a car crash!! Leaving her two best friends behind Olivia makes a new best friend called Amanda, finally some normality in this head spinning quadrangle of epic proportions. Her on/off flirting with Jordan made this book for me and I cannot wait to read more about this unlikely couple going forward. Even though they are total opposites, they just fit, Jordan just needs to convince Amanda. Out of all of the main characters in this book, Dustin seems to grow up the most. He knows he has made mistakes and tries his hardest to remedy them, but it doesn’t come easy. Olivia wound me up to the point of combustion, I absolutely abhor everything about Emily and I don’t trust Ryan as far as I could throw him so all in all, a great mix of dysfunctional characters, but ones that make for entertaining reading. Yes, it was exhausting, yes it was angsty, yes it was frustrating but it was unputdownable. These are selfish kids and the constant Dustin, Ryan, Dustin, Ryan, Dustin, Ryan will have your head spinning faster than the girl in the Exorcist, the constant squabbling will drive you mental but as soon as I had finished…I wanted the next book. As I said, GLUTTON FOR PUNISHMENT! So, Monica Murphy, BRING IT ON! !